T.D.karpezin.,co.ltd is created in 2010 and South Korea is located to Seoul. We are engaged in sale of spare parts for the Korean cars (www.koreaspare.com, www.koreaspare.net) and the Korean Kim's (www.delicious-kim.com) sale. Since 2014 we are glad to offer you service of the intermediary in acquisition of any goods from Korea, from any shop of Korea. Being directly in Korea, we have unique possibility of communication with your seller personally, with our help you can specify necessary questions, solve disputes, organize joint purchases or wholesale deliveries for your business. It favourably distinguishes us among companies of this sort. We constantly grow and we develop therefore we will gradually add new shops, new fields of activity about what we will immediately report to our clients in news on our site or by means of mailing. If you didn't find the positions interesting you on our site, but are sure that these goods are in Korea or are in search of any certain goods, address to us personally and we will deal with this issue! We invite to cooperation of wholesale buyers! We provide holding various international festivals, actions, conferences, and also we render assistance when shooting TV programs. We actively are engaged in development of interesting new tourist's products and the directions across South Korea. All employees of our company take part in development of tourist programs, and also directly work as guides during rounds. We guarantee high quality of service. For example, Russian-speaking tourists are served by guides for whom Russian is native. Please, study our license and a contact information. You can trust us and communicate in any time, convenient for you. 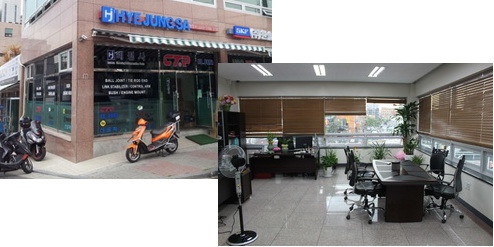 We are also glad to offer you tourist services in South Korea: guide, transfer, medical tourism.